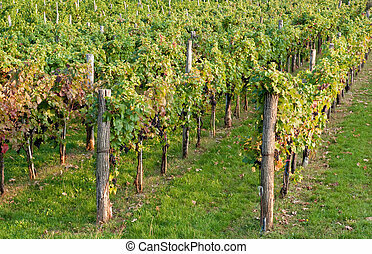 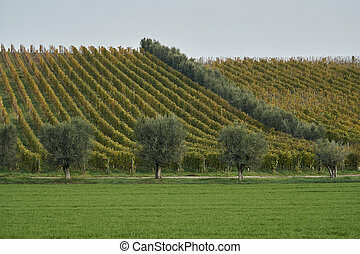 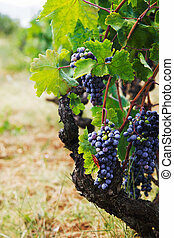 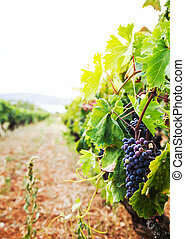 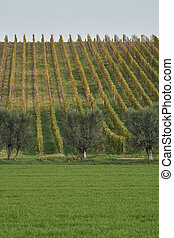 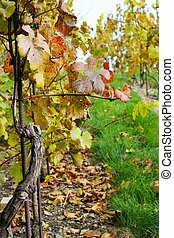 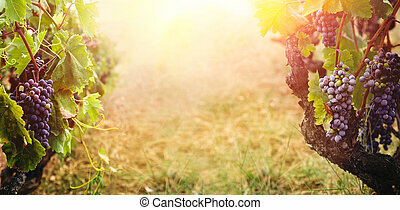 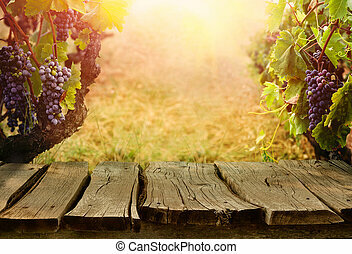 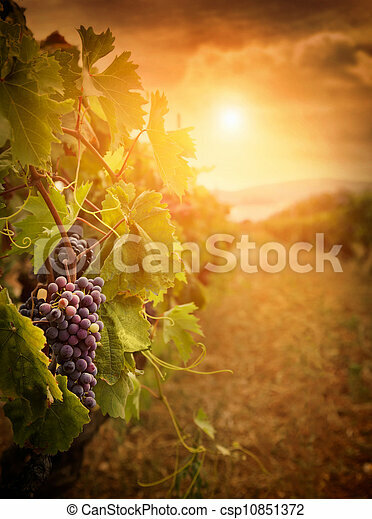 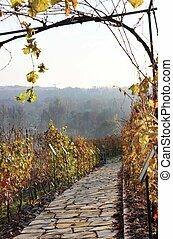 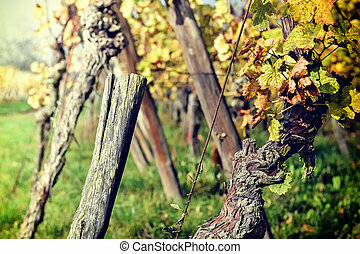 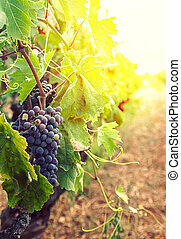 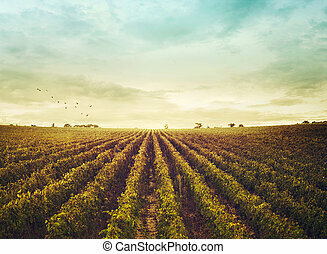 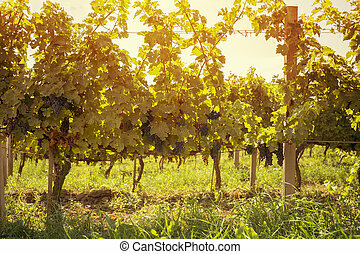 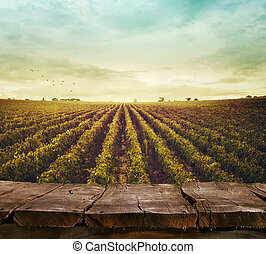 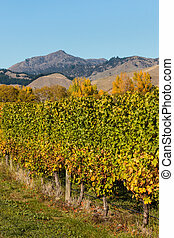 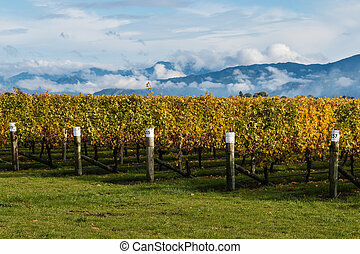 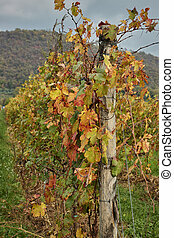 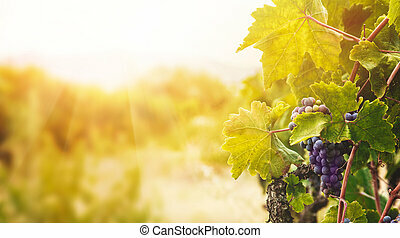 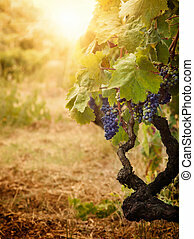 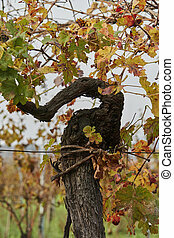 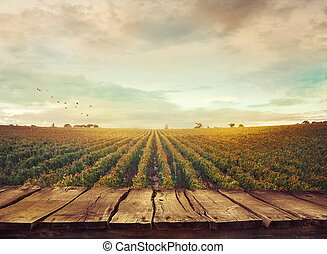 Nature background with vineyard in autumn harvest. 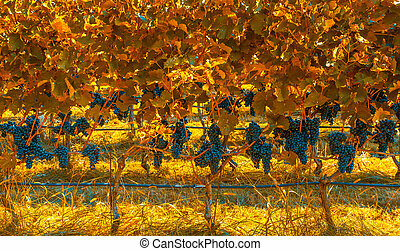 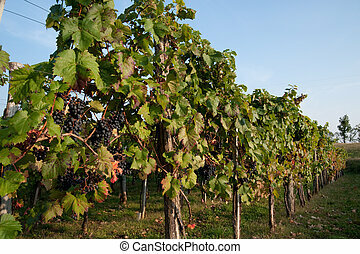 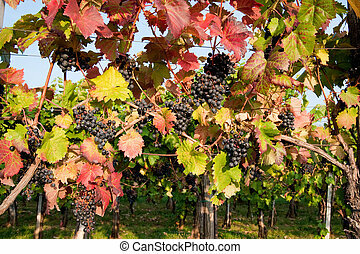 ripe grapes in fall. 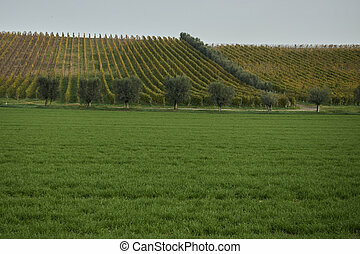 Tomato harvest. 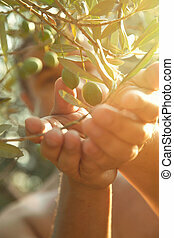 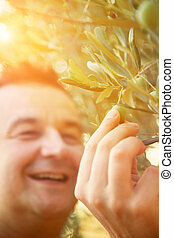 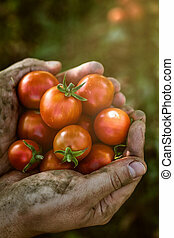 Farmers hands with freshly harvested tomatoes.